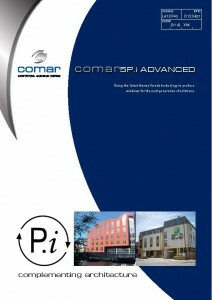 Comar 5P.i Advanced window system uses the latest thermal break technology to produce windows for the next generation. Based on the thermal technology of our Comar 9P.i System, we have launched a new 5P.i Advanced casement & tilt/turn window system. These windows offer leading U-value and slim sight line performance. New “Z” section profiles allow the glazing of open-in and open-out configurations next to each other.